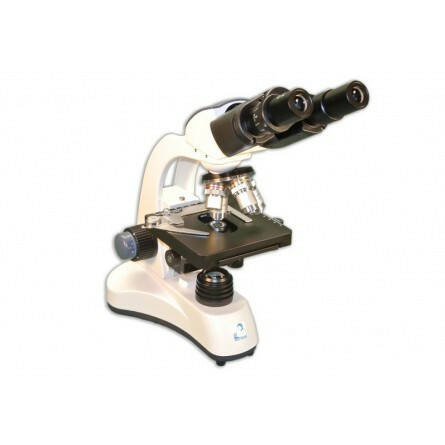 The new Meiji MT-14 Student compound microscope brings a fresh, clean design to the biology and life sciences classroom. 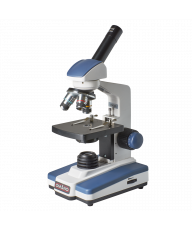 These easy-to-use, competitively-priced microscopes feature Meiji Semi-Plan optical quality and cool, crisp LED illumination to help you maximize your student's learning experience. Battery-powered portability and rugged ergonomics ensure years of dependable service in the grade school, high school or teaching laboratory. 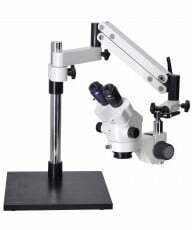 The MT-14 microscope includes a binocular head with the oculars inclined at a comfortable 30°. 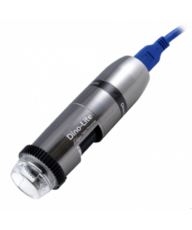 The DIN 10X WF eyepieces include a pointer for easy reference and correlation. 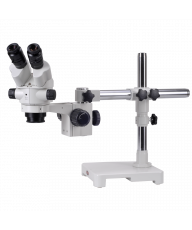 The optical system includes four Semi-Plan Achromatic objectives (4X, 10X, S40X, S100X) set in a forward-facing ball-bearing-mounted nosepiece for ease of access to the slide and objectives. The ceramic coated, right-handed flat top stage measures 123mm x 119mm and features an integrated mechanical stage, along with coaxial coarse-fine focus knobs with friction adjustment and graduations to 2-micron precision. 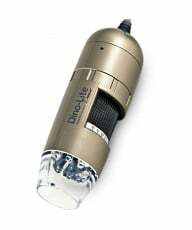 An Abbe 1.25 NA Condenser with height adjustment is included, along with 1W LED variable-intensity illumination with power supplied by internal batteries or a standard 110V AC power cord. Eyeshields, Manual, AC adapter, dust cover. 2-Year Warranty.